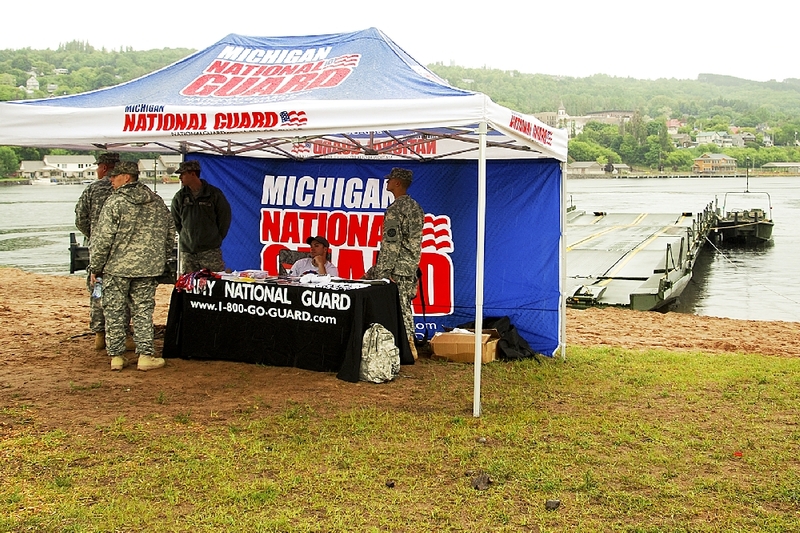 A Michigan National Guard Company from Sault Saint Marie was in Hancock the third weekend in June, to carry out another Waterway crossing exercise, a carry over from the first one last year. The Unit headquarter at the Hancock Driving Park, utilizing the MultiPurpose Arena for support operations. They arrived in town on Thursday afternoon. 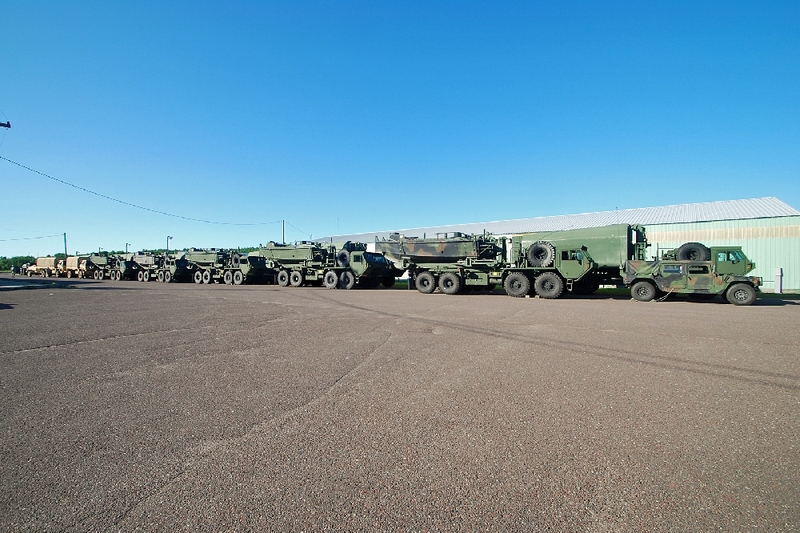 There were a large number of vehicles in their Convoy, holding a number of Bridging sections. 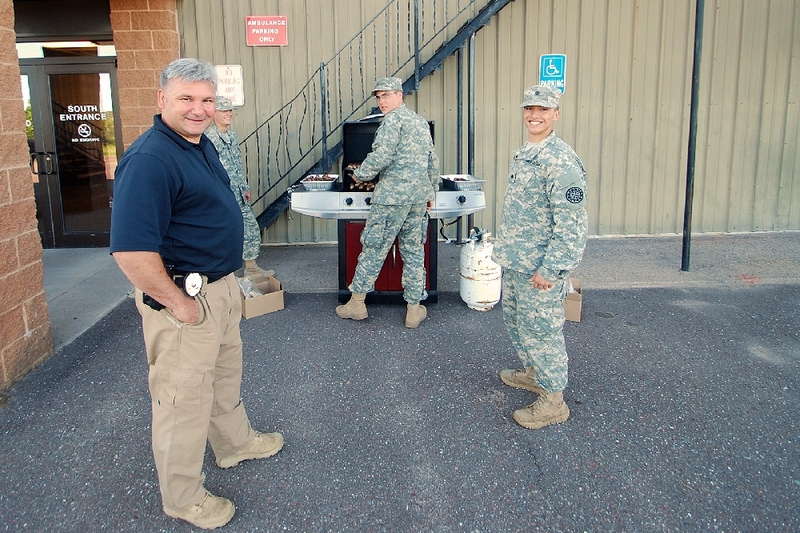 Coming a long way builds appetites, and local support and donations from local businesses, led by Hancock Police Chief Wayne Butler (L), meant hot dogs and bratworst instead of military ration packs. 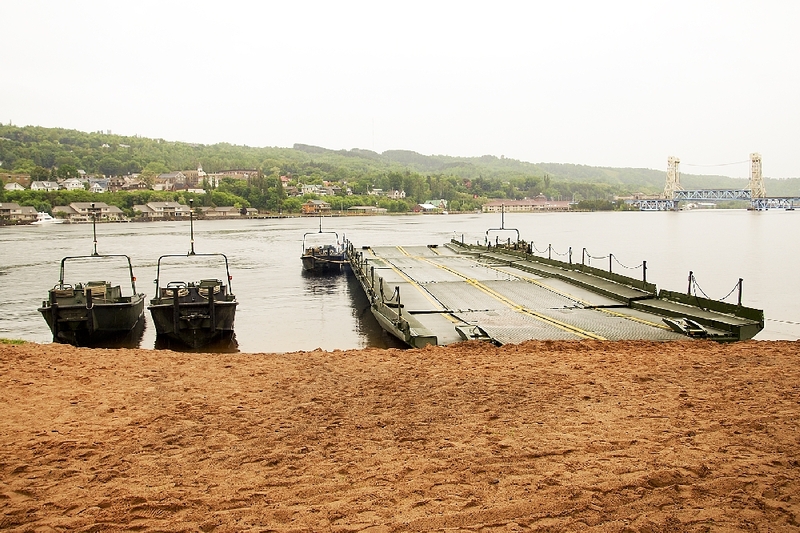 Waterway operations were conducted from the Houghton Kestner Beach site on Saturday, after a day spent preparing and launching the ribbon bridge sections, along with their accompanying patrol/maneuvering craft. 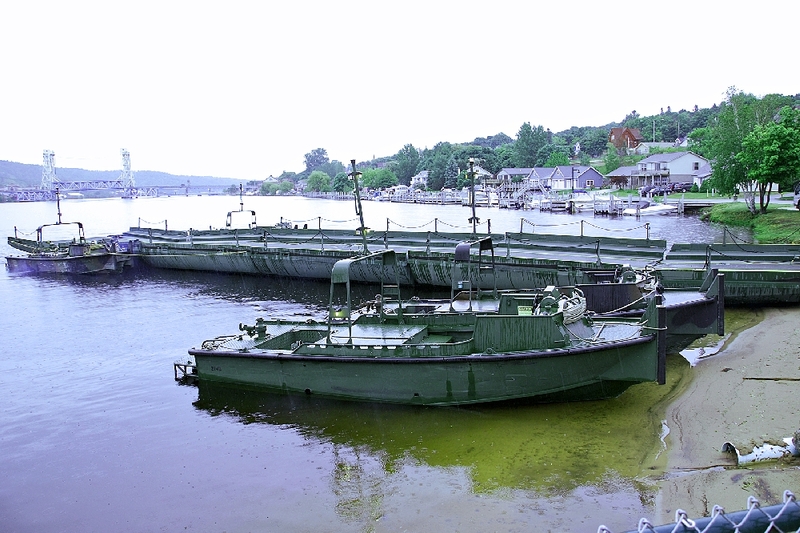 A number of local emergency vehicles were taken from one side of the waterway to the opposite side for demonstration and exercise reasons during the day, despite the rainy conditions. 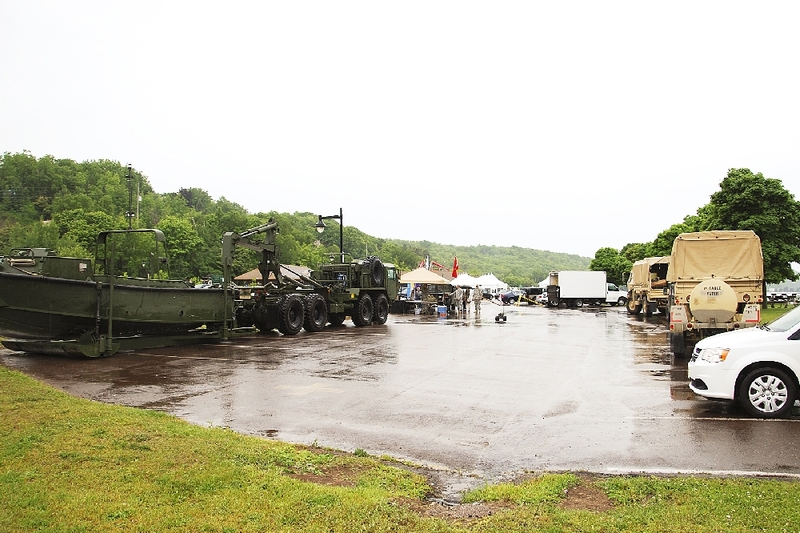 Some of the support vehicles in the Kestner Park parking area. Another view of the ribbon bridge. 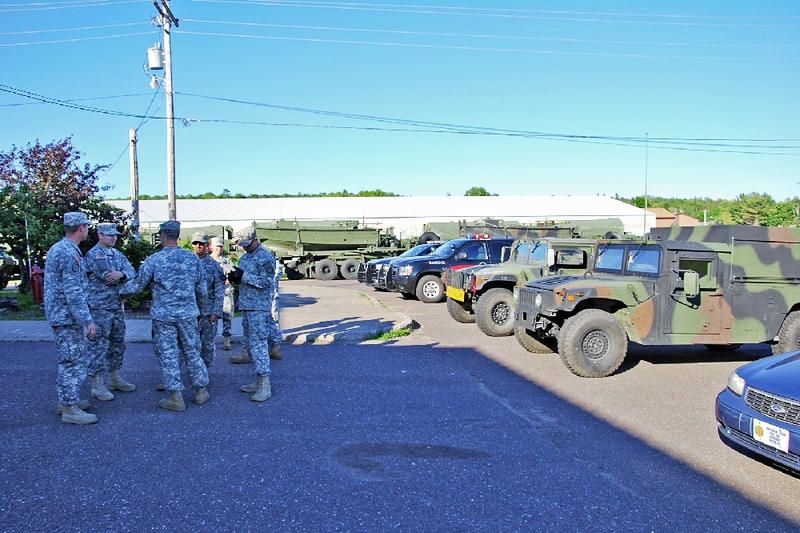 The Unit returned to the Soo on Sunday.